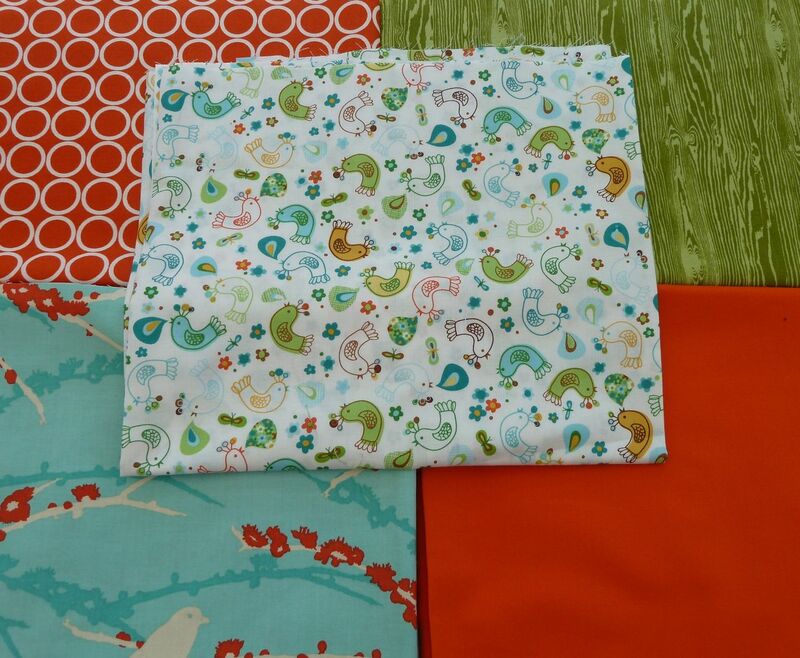 I received my designer fabrics from Fabricworm.com on Wednesday, just 1 week and 2 days after I placed my order, not bad! I was really dubious with my choices but I’m very happy, even with my duplicate of Deena Rutter Happier, Garden fabrics, almost everything goes well together. 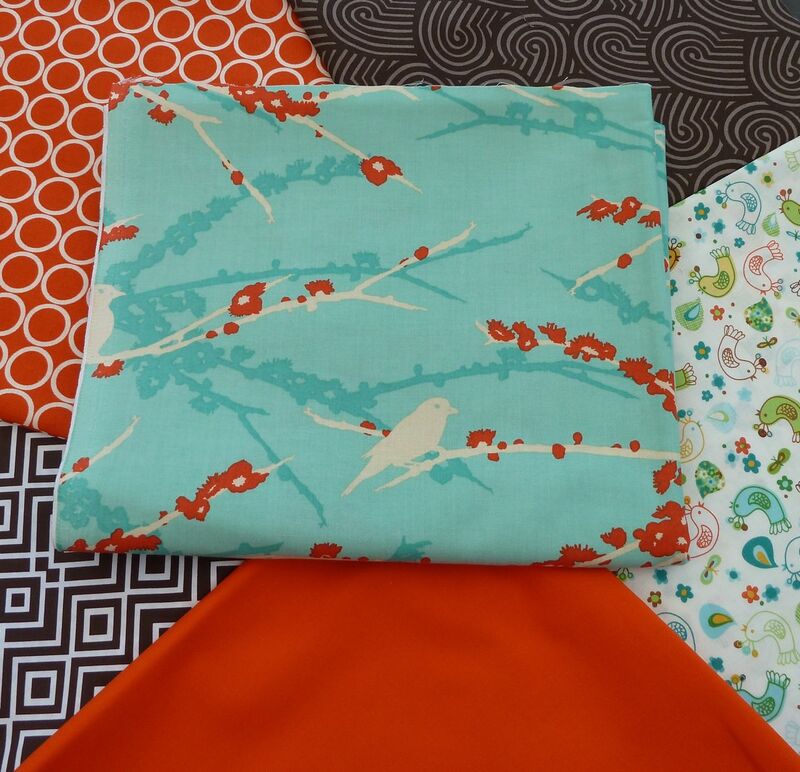 Strangely, the only fabric I feel doesn’t work in this mix is Amy Butler, it’s not orange enough to be orange. Turquoise, orange, brown and olive all go very well in our house and I hope to amass enough fabric in these colours to make either 1 gigantic king size quilt for our bed or go the European route and make two doubles, one for each of us. Hey, that would be fun!! The more I think about it, the more I like the idea of making 2 different quilts using the same fabrics for one bed. 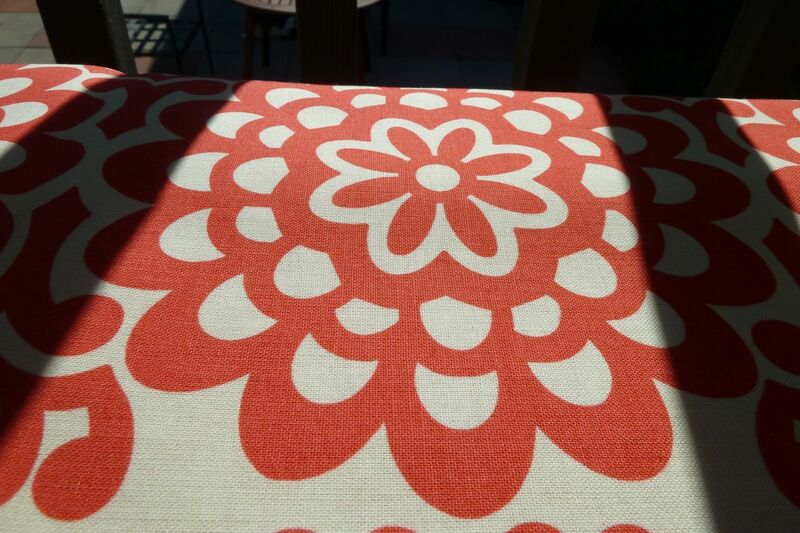 When I purchased the Echino fabric, I didn’t realize they were oilcloth and I was even more surprised when they arrived laminated. 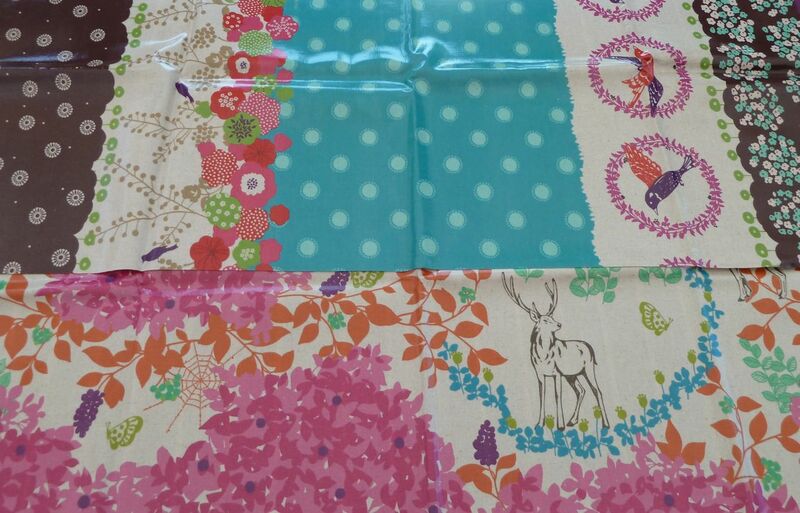 In my experience, oilcloth is like an Australian coat, the cotton is oiled to repel water, lamination is a layer of plastic, two completely different things. I wasn’t expecting laminated fabric, it’s not what I wanted but will figure something out. I can’t imagine anyone would want to trade laminated fabric for non-laminated fabric, would they? This entry was posted in Encino, Inspiration by Tabatha. Bookmark the permalink.